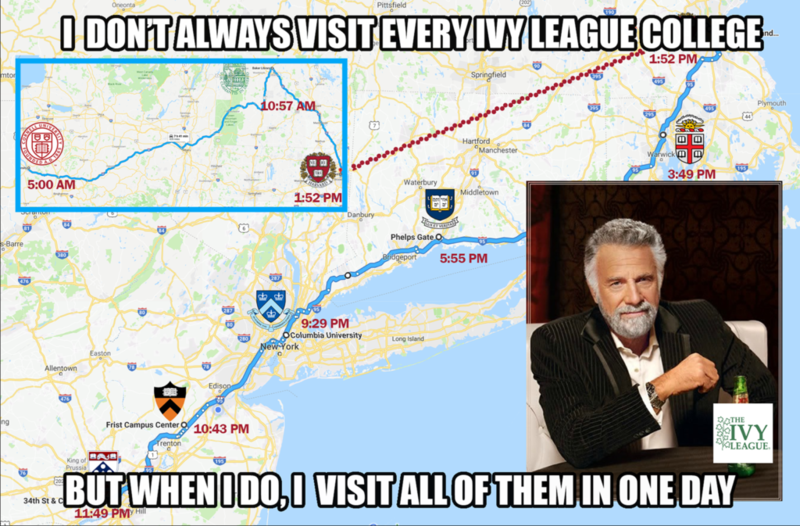 IvyAchievement founder and CEO Ben Stern sought to commemorate “Ivy Day” (the day all eight Ivy League colleges release their admissions decisions) by visiting all eight schools. Ben recruited Columbia student Mohak Sharma (who transferred from Drexel University) to come along for the ride. Could it be done? Read on to find out! 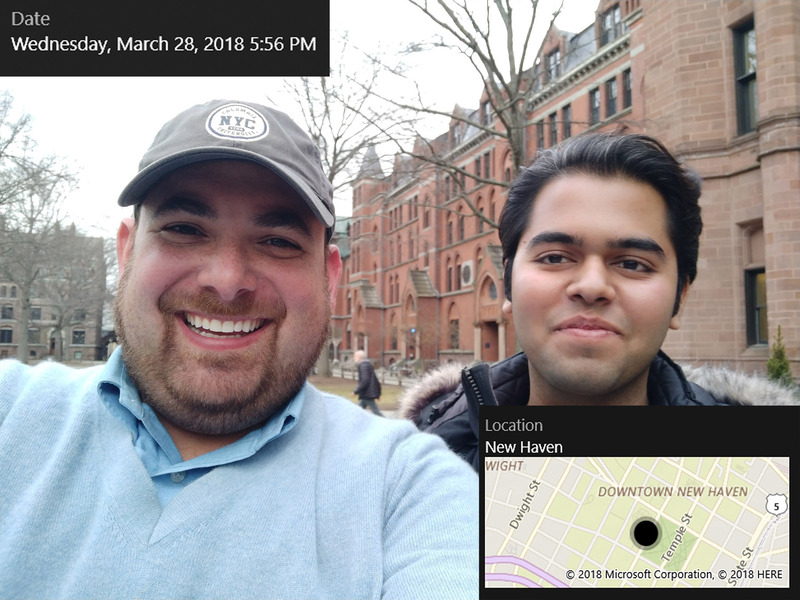 Ben Stern and Mohak Sharma grab a selfie before their big Ivy Day tour. 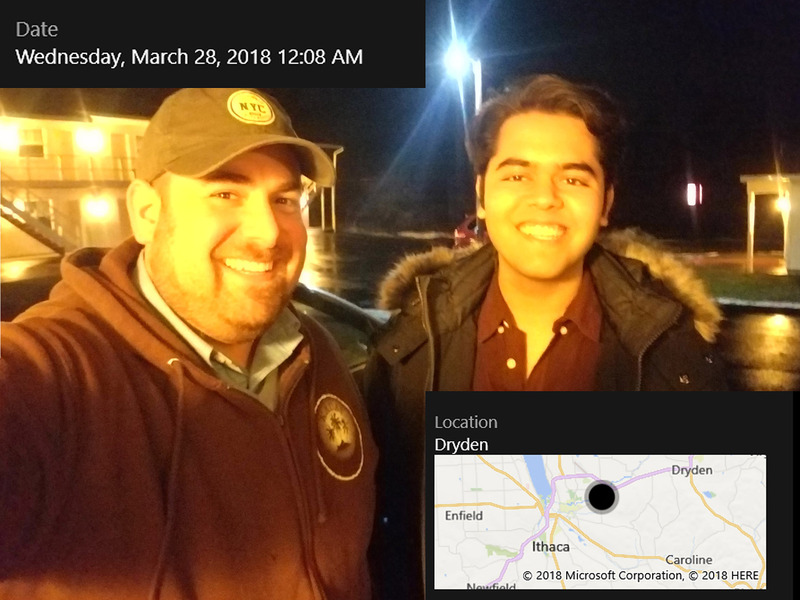 Ben picked Mohak up from Columbia University at 6:30pm on Tuesday. and the two were off to Ithaca! They arrived a little past midnight for a few hours of sleep. 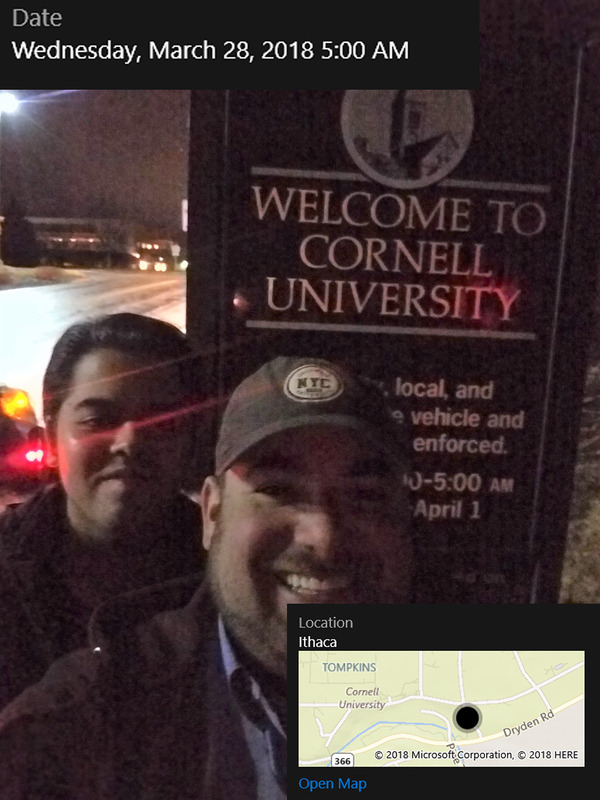 It’s still dark out and Ben and Mohak have a lot of driving to do, so they won’t be seeing much of Cornell’s campus. Riley Robb Hall (left) and Wing Hall (right) of Cornell University. It’s unfortunate Ben and Mohak didn’t get to see more of campus, but maybe next time. 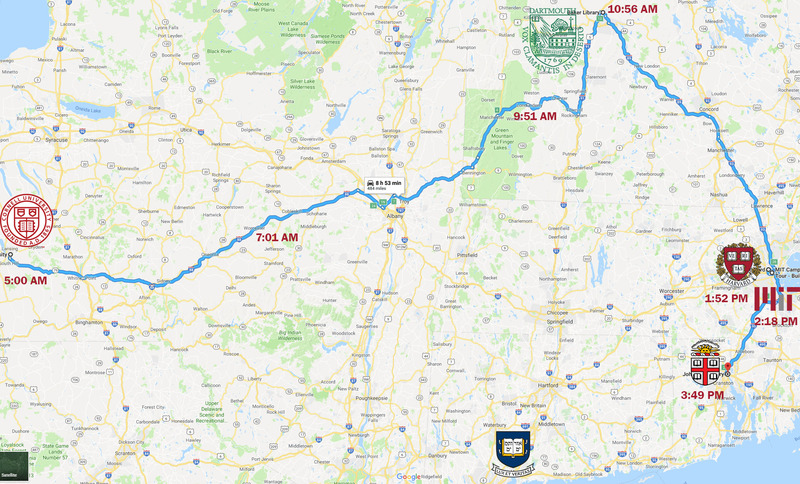 The first leg of the trip was the longest. Ben and Mohak took their first break after two hours of driving. 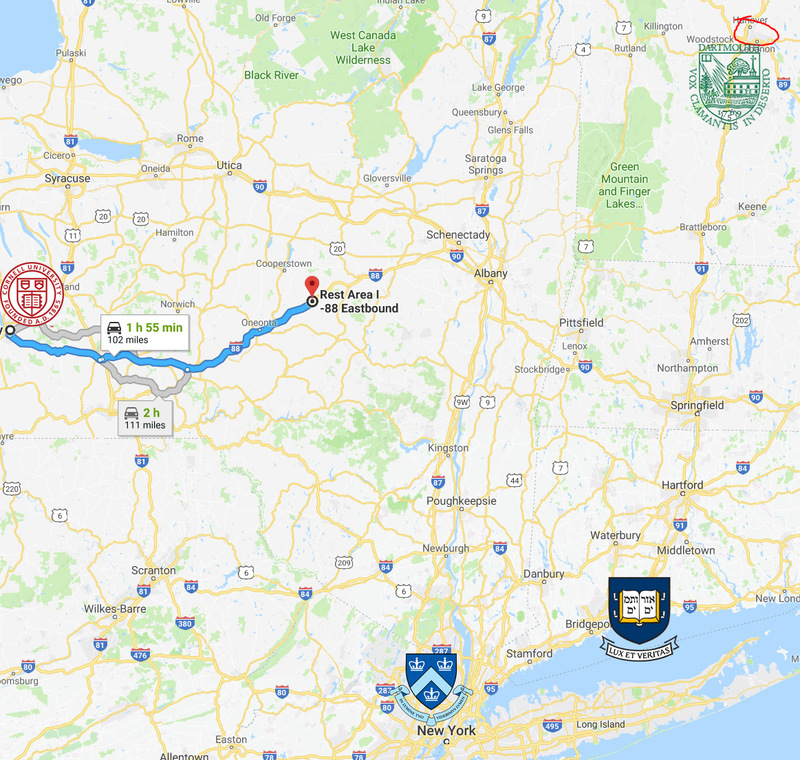 They had come a long way, but were not even halfway to Dartmouth. Mohak took over driving duties after the break. 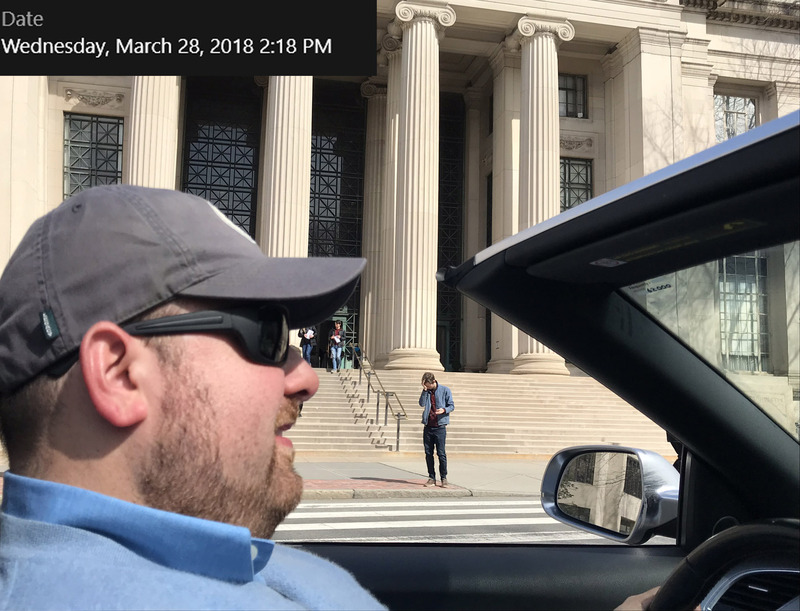 He and Ben didn’t mind keeping the top down. Ben and Mohak arrived in Hanover before 11am, less than half an hour behind schedule! Pictured is Hanover Inn Dartmouth, built in 1780. 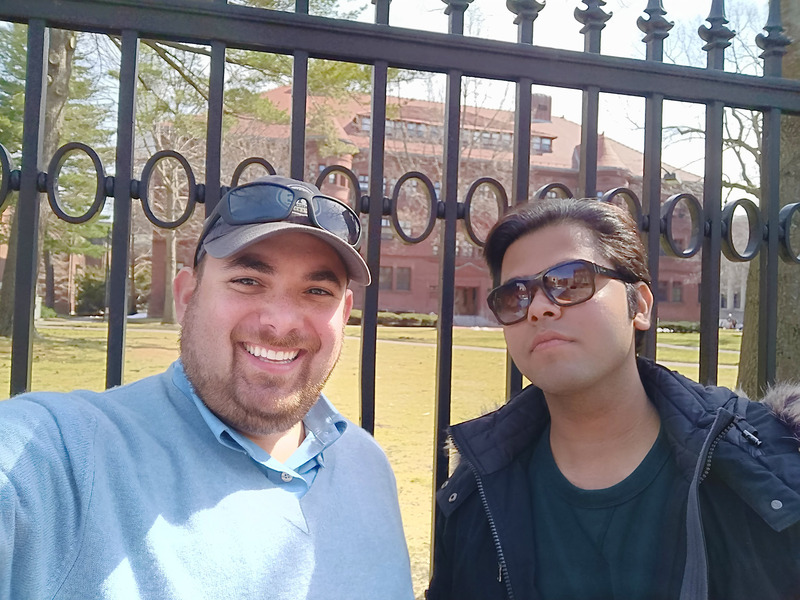 Ben met with Dartmouth freshmen (and IvyAchievement alumni) Sunbir Chawla and Namit Kapoor on the Dartmouth Green outside Baker Memorial Library. He had to wait until after class got out, so Ben and Mohak didn’t leave until after 11:30am (still a half hour behind schedule). Panoramic image of the buildings surrounding the Dartmouth Green. From left to right: McNutt Hall (completed 1904), Parkhurst Hall (1911), the Blunt Alumni Center (1810), Sanborn House (1929), Baker Memorial Library (1928), Webster Hall (1907), Wheeler Hall (1905), Rollins Chapel, Wentworth Hall (1829), and Dartmouth Hall (1906) (click/tap to enlarge). 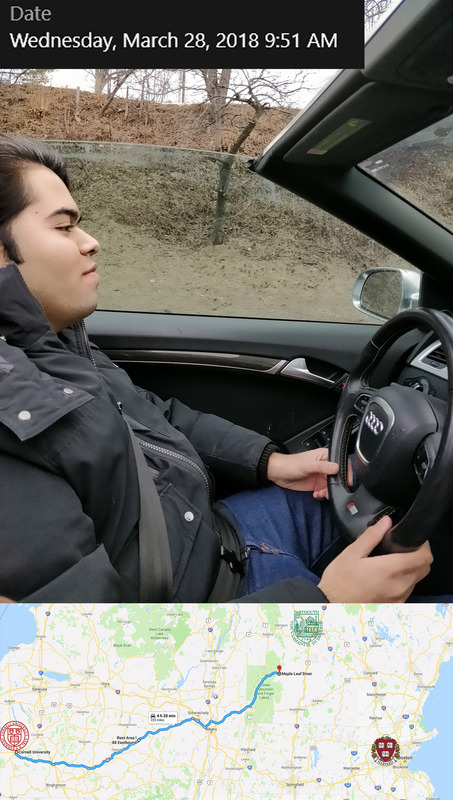 Mohak continued driving after Dartmouth, and then Ben did the second part of the drive from Hanover and Cambridge. 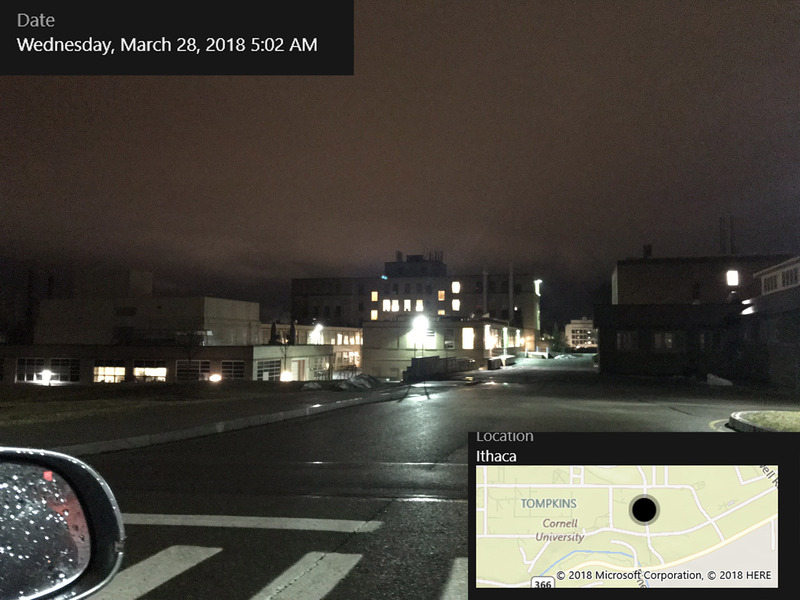 You can’t tell from the picture, but Ben and Mohak passed near Tufts University (see map). 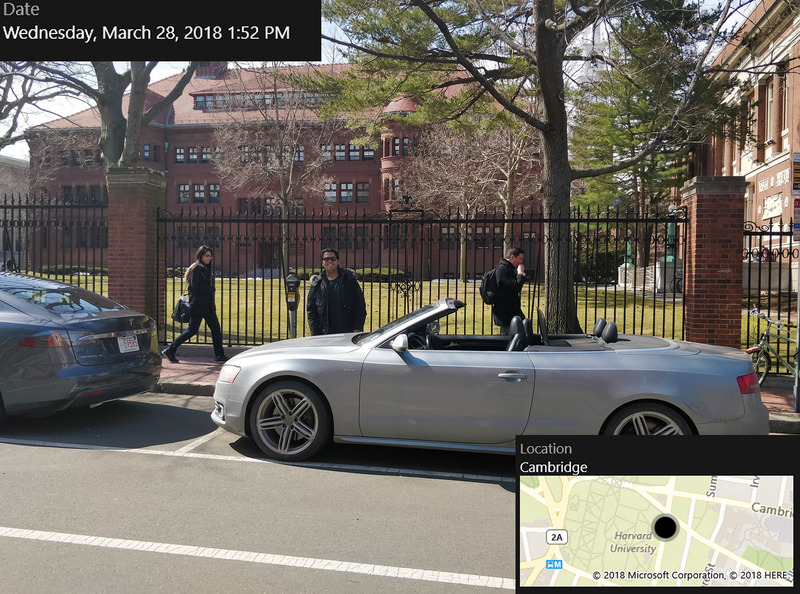 “Pahk the cah in Hahvahd Yahd” – That would have been illegal, so Ben and Mohak did the next best thing and parked their car at Harvard Yard. 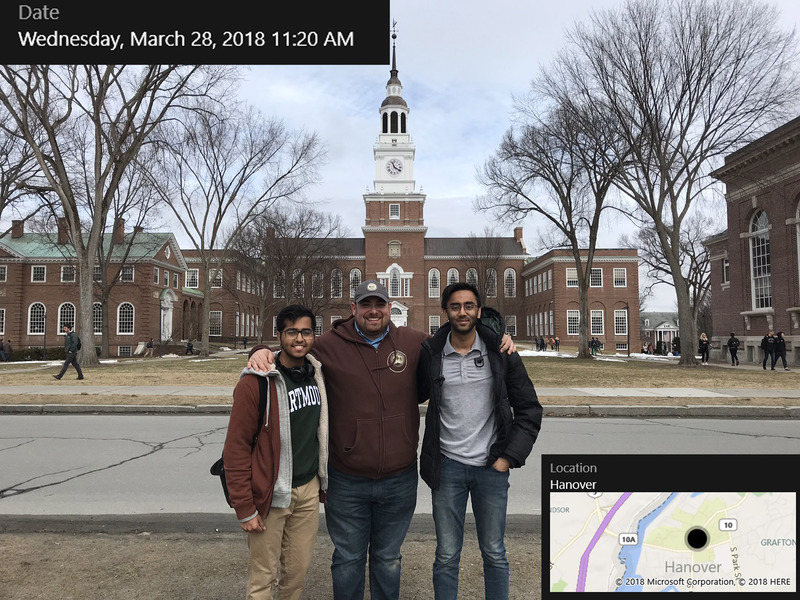 Thanks to excellent driving and a strategic bathroom stop at Dartmouth, Ben and Mohak cut their time deficit to just 22 minutes. Mohak updated his Snap and Instagram stories throughout the day. This Snap shows Werner Otto Hall, completed in 1991. It houses the Busch-Reisinger Museum, dedicated to European art of all eras, especially from German-speaking countries. 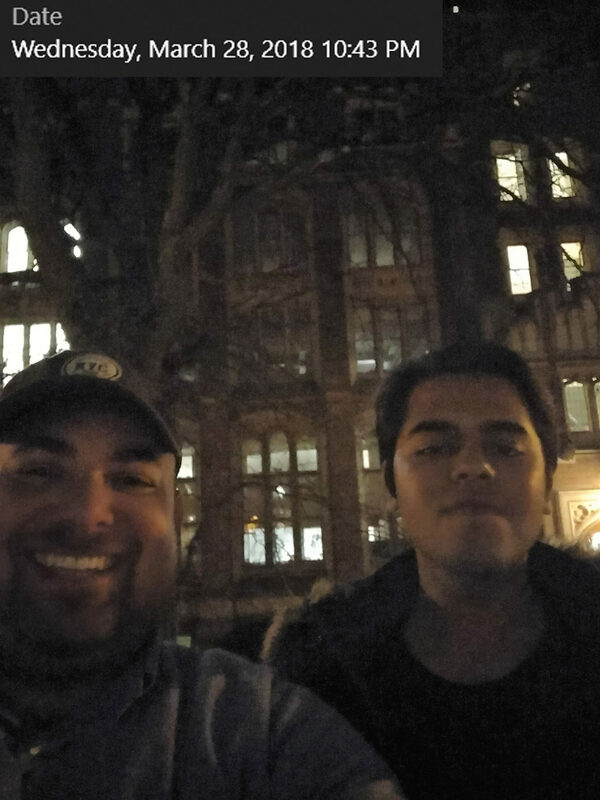 Ben and Mohak grab another selfie at Harvard Yard. In the background is Sever Hall, built in 1878. 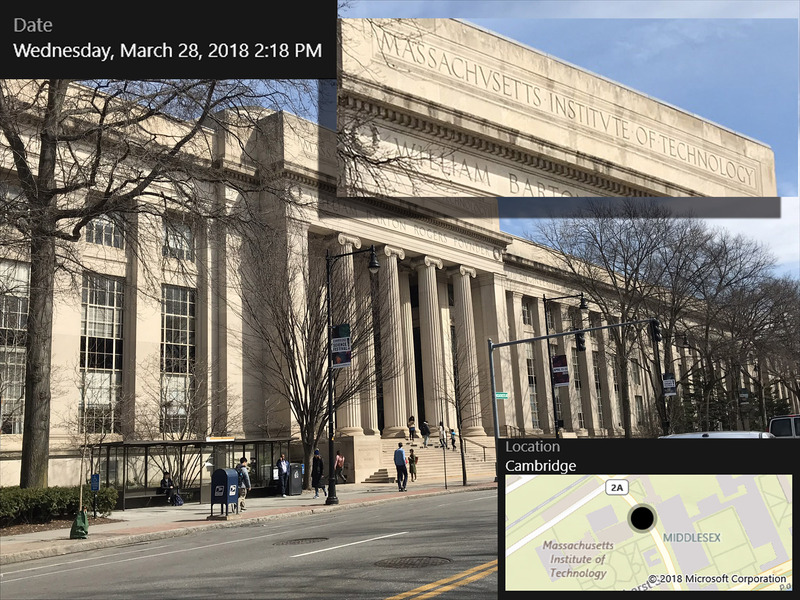 “Ivy-plus” bonus: Ben did a drive-by of MIT. This is Building 7, also known as the William Barton Rogers Building, constructed in 1939. It serves as the main street entrance to the MIT campus. The weather had improved by the afternoon, lending to some pleasant cruising. But with time still short, Ben and Mohak didn’t have time to stop at MIT. 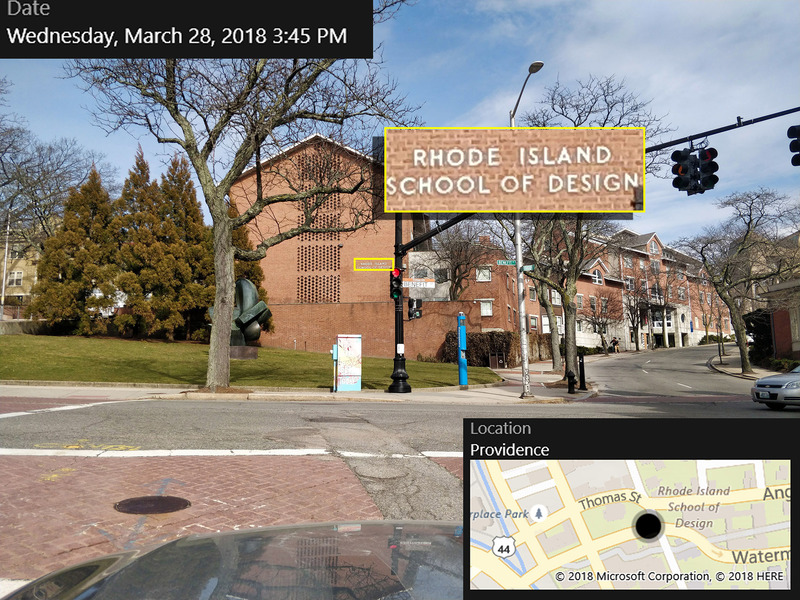 After reaching Providence, RI and on their way to Brown University, Ben and Mohak passed the famed Rhode Island School of Design. Like MIT, they didn’t stop there, but they snapped a picture of this notable institute of higher education. 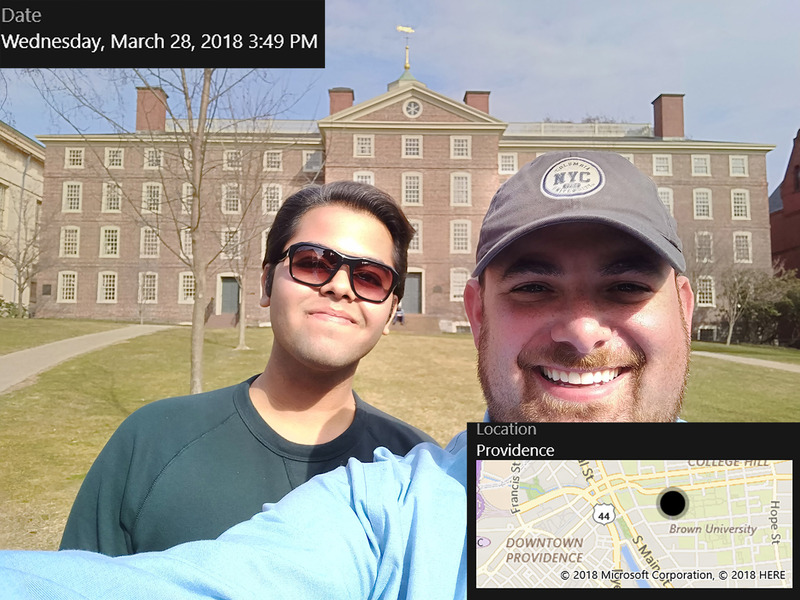 Ben and Mohak reached Brown at 3:49pm, just 19 minutes behind schedule. So far, so good! 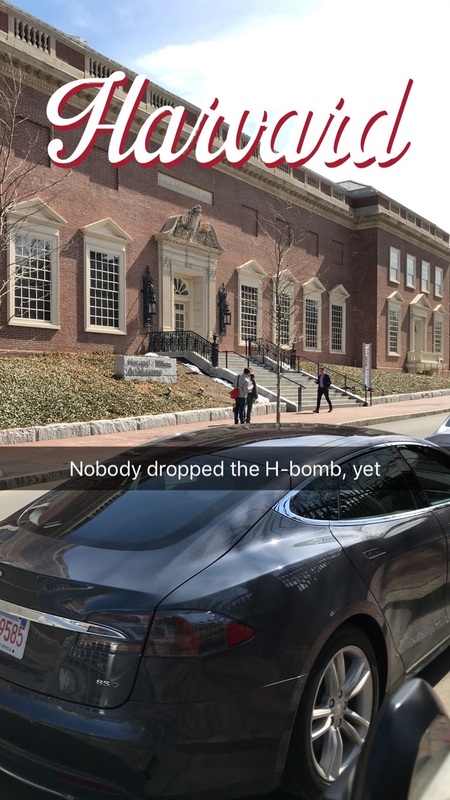 In the background is University Hall, the oldest building at Brown, constructed in 1770. 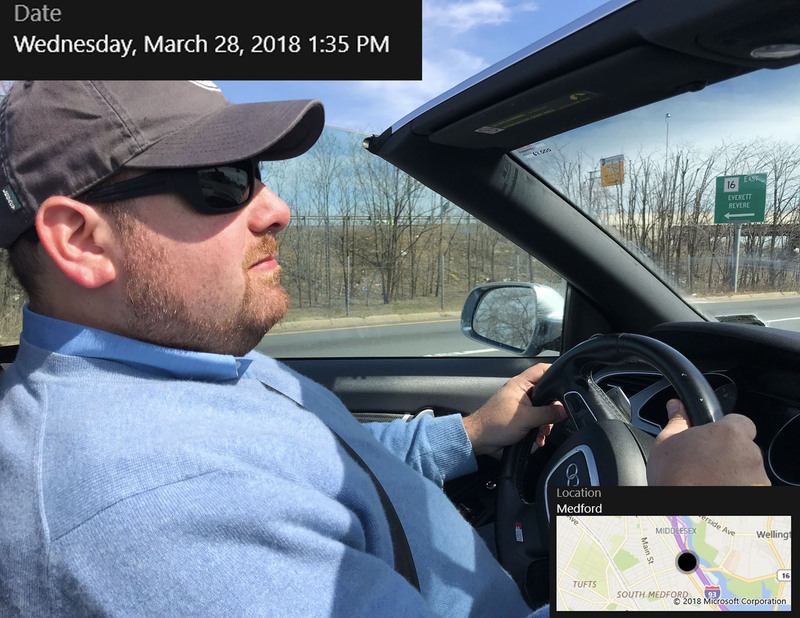 Ben is showing some sunburn from riding with the top down and not applying enough sunscreen. A panoramic view of six iconic Brown University buildings, viewed from the east. 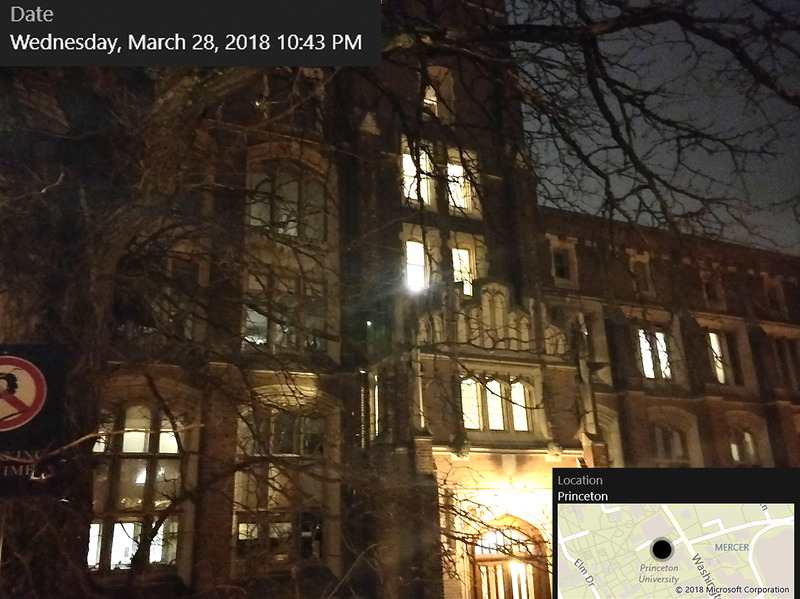 From left to right are Carrie Tower (1904), Hope College (1822), Manning Hall (1834), University Hall (1770), Slater Hall (1879), and Rhode Island Hall (1840) (click/tap to enlarge). 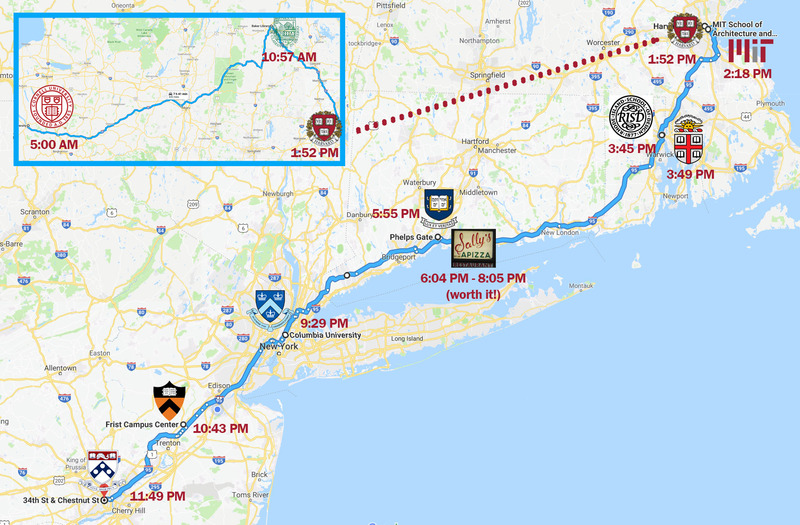 …and arrived in New Haven before 6pm, ahead of schedule. They parked near Phelps Gate, constructed as part of Phelps Hall in 1896. This view is looking into Old Campus. Dwight Hall (1849) is visible across the Old Campus quad. Yale’s Old Campus. Behind Ben and Mohak (from left to right) are Durfee Hall (1871), Farnam Hall (1870), Lawrence Hall (1886), and Phelps Hall (1896). 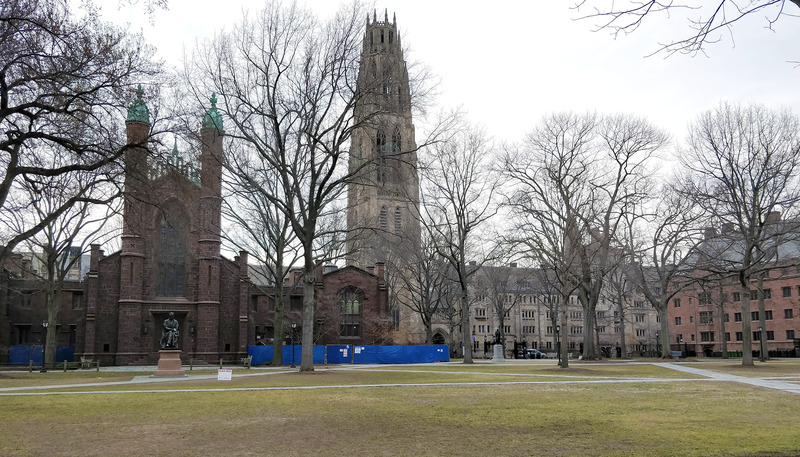 Buildings on and near Yale’s Old Campus viewed from the east from Phelps Gate (from left to right): Dwight Hall (1849), Harkness Tower and Saybrook College (across the street, 1922), and Lanman-Wright Hall (1912). 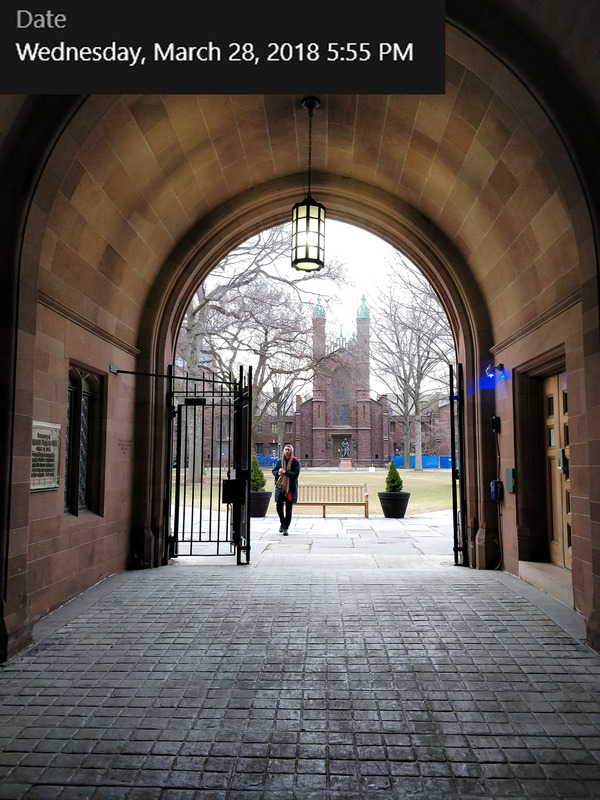 Yale’s iconic neo-Gothic buildings, including Harkness Tower, are far from the oldest buildings on campus. That distinction belongs to Connecticut Hall, which Ben and Mohak both forgot to snap a picture of. Ben had already planned a stop at Sally’s Apizza in New Haven. (“Apizza” is a type of thin-crust pizza introduced by Italian-Americans in New Haven). 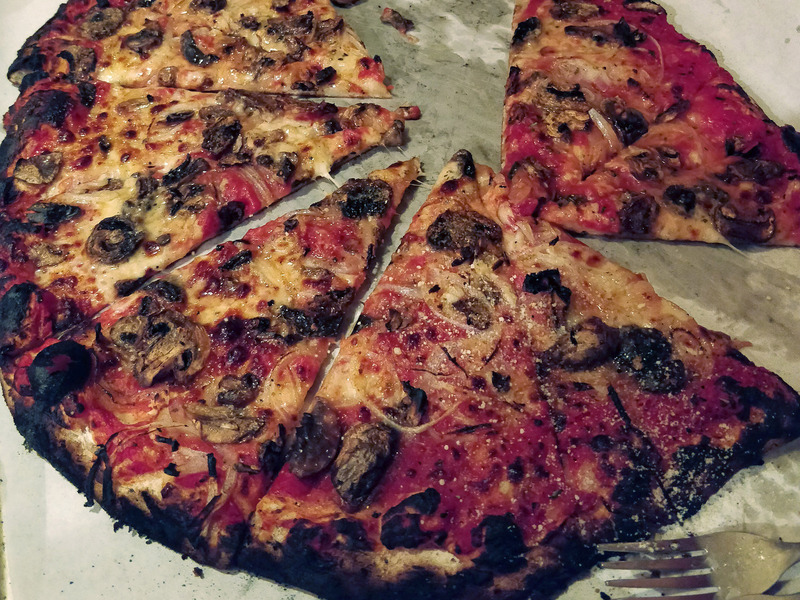 Sally’s is one of two classic New Haven Pizzerias located on historic Wooster Square. The other is Frank Pepe Pizzeria (“Pepe’s”). Pepe’s is more popular, but Ben is a bigger fan of Sally’s. 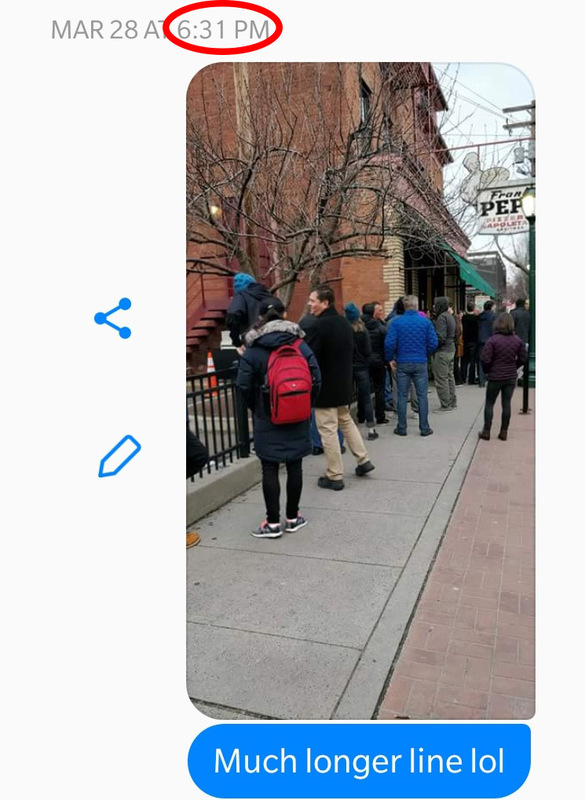 This picture shows the line for Pepe’s, which Ben went to check as Mohak waited at Sally’s. The Pepe’s line was even longer than the Sally’s line, but it still took nearly an hour for Ben and Mohak to be seated at Sally’s. 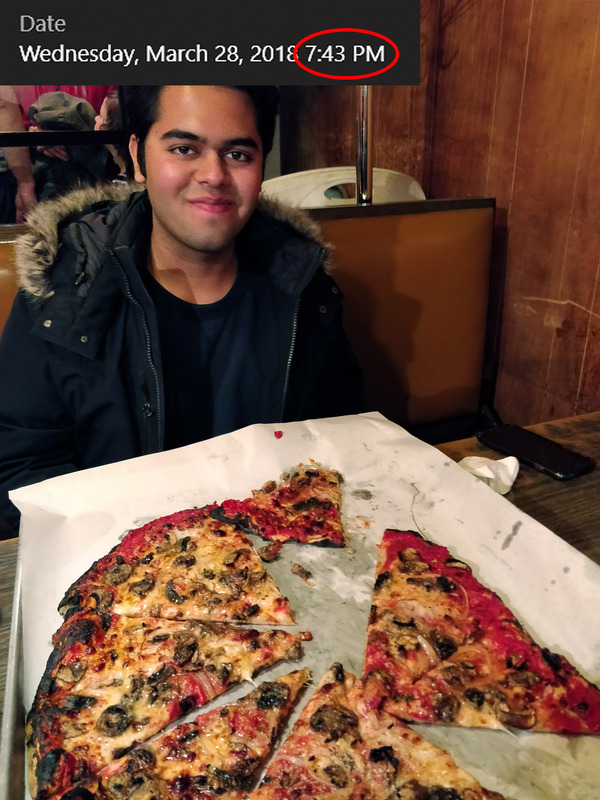 Ben and Mohak finally got their pizza at 7:43pm… well after they were scheduled to leave New Haven. Would a pizza pie doom their mission? But come on, look at that crispy, cheesy, greasy goodness right there. Totally worth it. 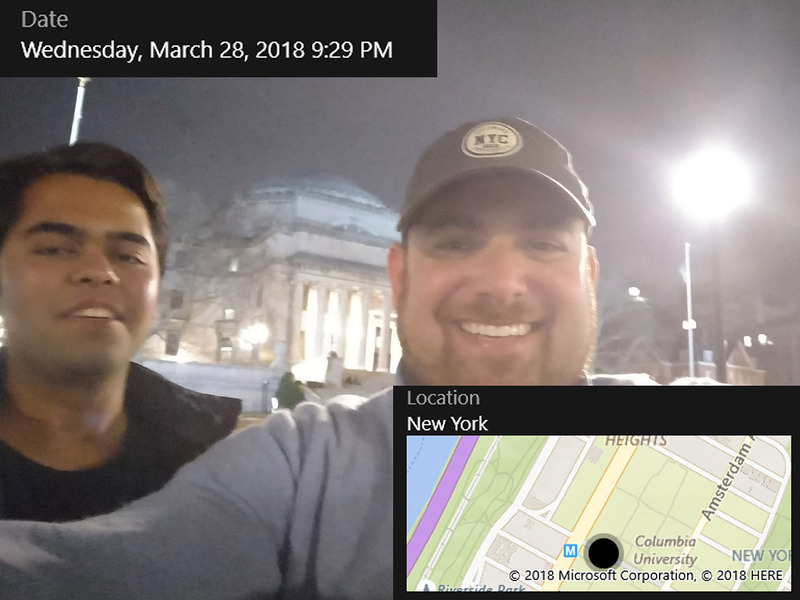 The race against the clock was on, but thanks to some excellent navigating by Ben (who frequently drove between New Haven and New York when he was in law school at Yale), the two Ivy travelers made it from New Haven to Morningside Heights (on the Upper West Side of Manhattan) in less than 90 minutes. Mohak currently attends Columbia and Ben visits frequently as an alum, so they didn’t feel compelled to take many pictures. Even after the two-hour delay, Ben and Mohak were now running just 30 minutes behind again. This picture shows Low Memorial Library, built 1895, which is no longer a library but houses administrative offices and a rotunda for formal receptions and functions. 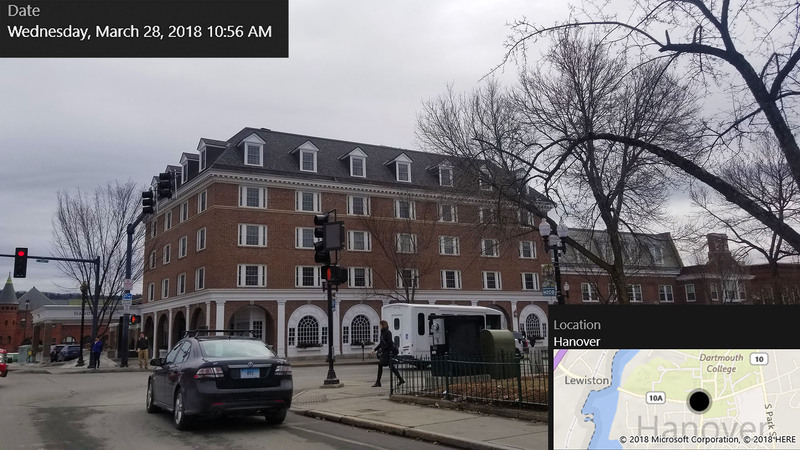 Also visible is Buell Hall, usually called the “Maison Française,” as it is home to the French Cultural House. Buell Hall is the oldest building on campus, constructed in 1885. It used to be part of an insane asylum whose land was purchased by Columbia University. 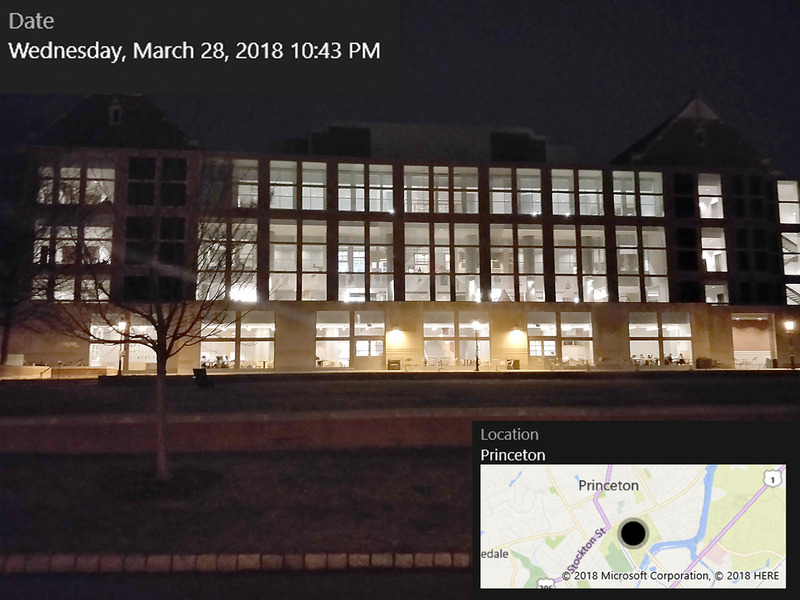 Ben and Mohak made excellent time to Princeton and arrived at 10:43pm, just 13 minutes behind schedule. This picture shows Guyot Hall, which houses Princeton’s geosciences department and exhibits various writings and artifacts originally belonging to Benjamin Franklin and others. Frist Campus Center, the hub of student life at Princeton University. The Frist Campus Center is a combination of the original Palmer Physics Laboratory (completed 1909) and a modern addition in 2001. This picture shows the modern addition. 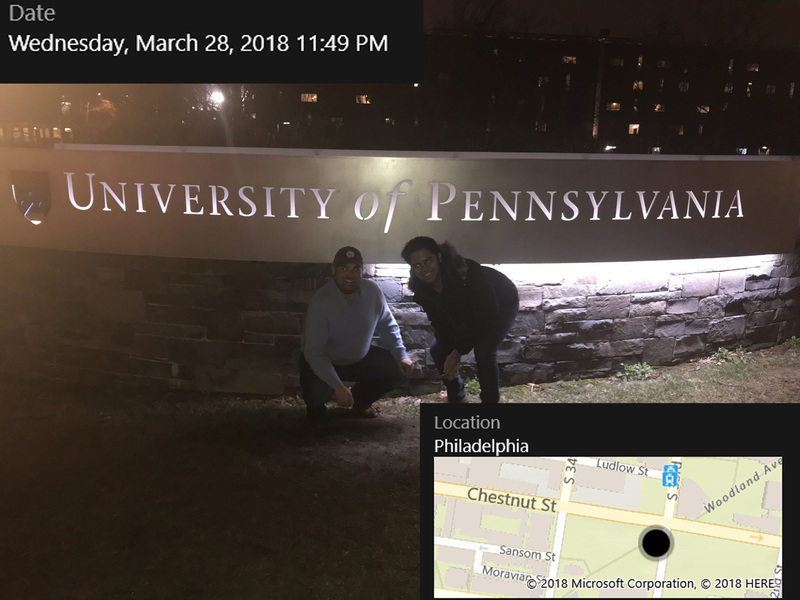 Ben and Mohak grab a quick selfie before getting back in the car and departing for their final destination, the University of Pennsylvania. Yes! 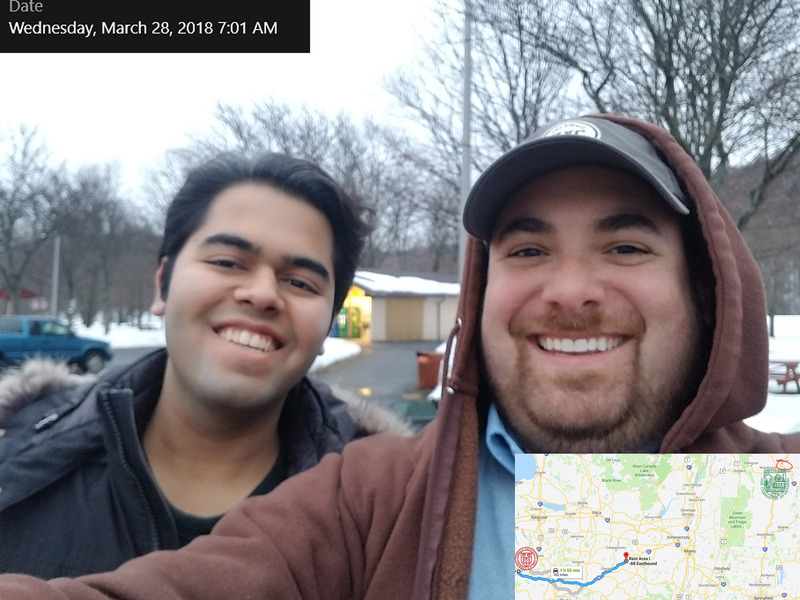 I-95 was nearly traffic-free through Philadelphia, and Ben and Mohak arrived in Philly with 15 minutes to spare. A helpful security officer, who seemed both concerned and amused, took this photo. The sign is located in Hill Square at the corner of S. 33rd St. and Chestnut St. in Philadelphia.